Microfiber with serrated edge. 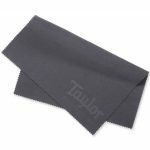 Features embossed Taylor Logo. 11-1/2″ x 9-1/2″.